Turns out all the biggest questions in life can be answered by diagrams. 1. Are you Meat Loaf? 2. Is it the '90s? 3. How do you know if God exists? 4. Should you tweet about a breaking news story? 5. Which religion should you follow? 6. Are you unfamiliar with the rules of Pictionary? 7. Will you survive being a bridesmaid? 8. Should you wear sweatpants? 9. Are you a hipster? 10. 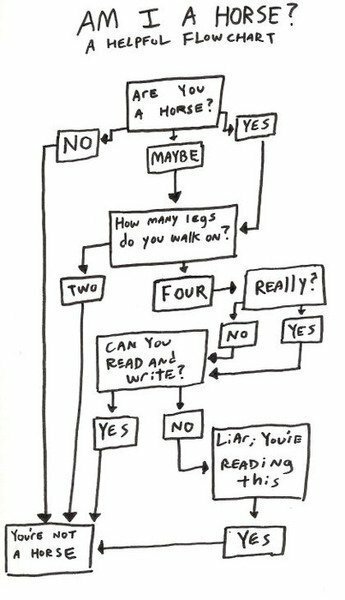 Should you shave your legs? 11. How does electronic music work? 12. You dropped food on the floor. Should you eat it? 13. Which Christoper Nolan film are you watching? 14. Should you turn around, bright eyes? 15. 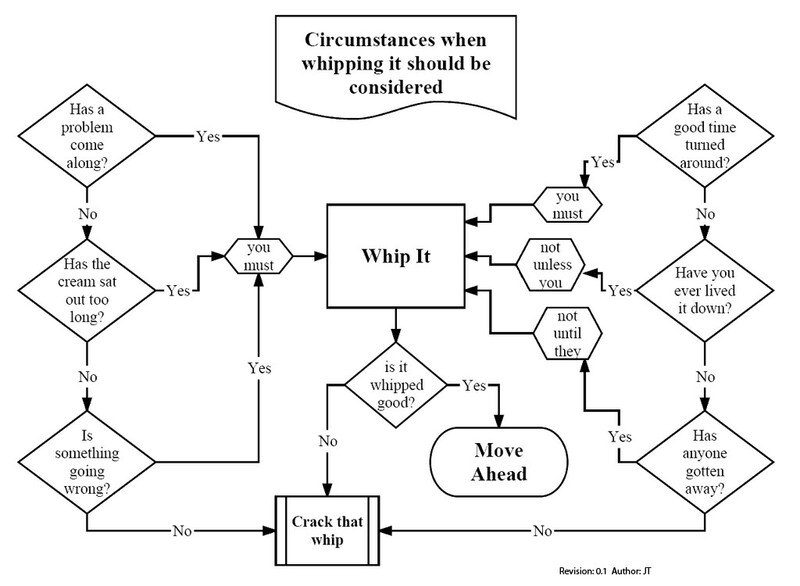 Should you "Whip It"? 17. 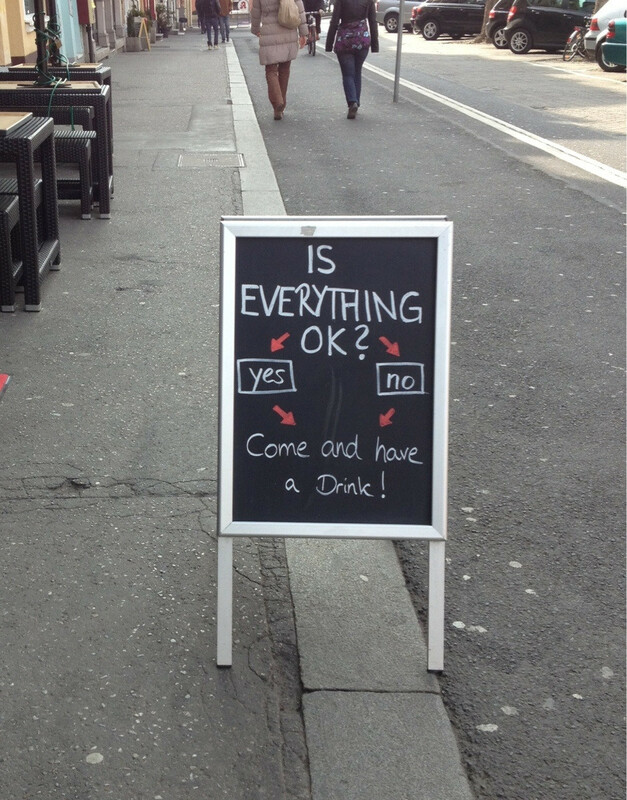 Should you go to the pub? 19. Have you forgotten the lyrics to "Hey Jude"? 20. 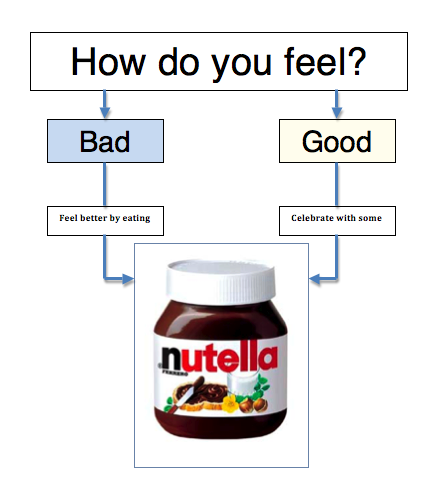 Should you eat Nutella? 21. 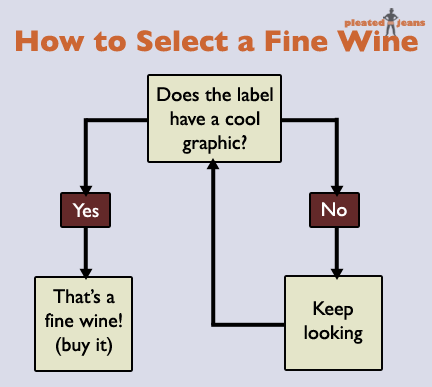 Should you buy this bottle of fine wine? 22. Should you get a tattoo? 23. 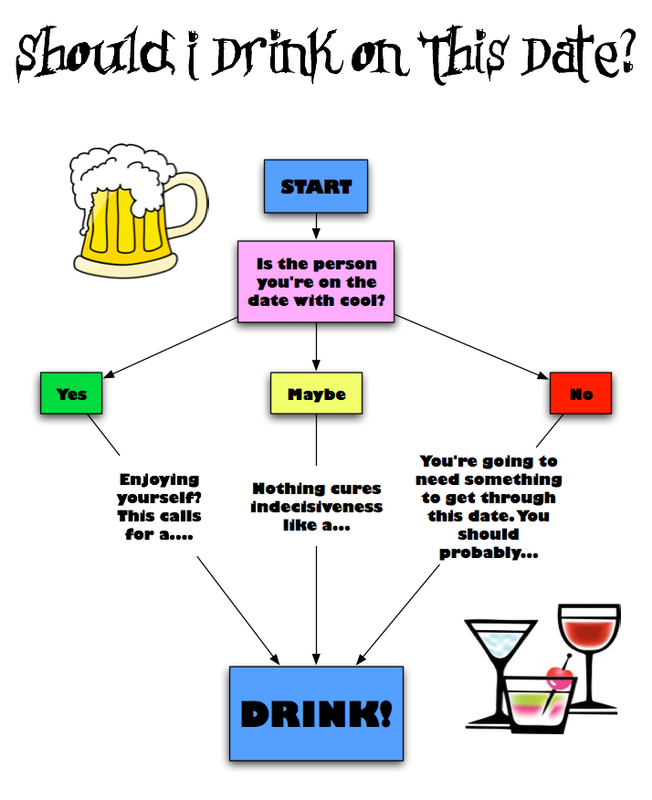 Should you drink on a date? 24. Is it time to make changes in your life?